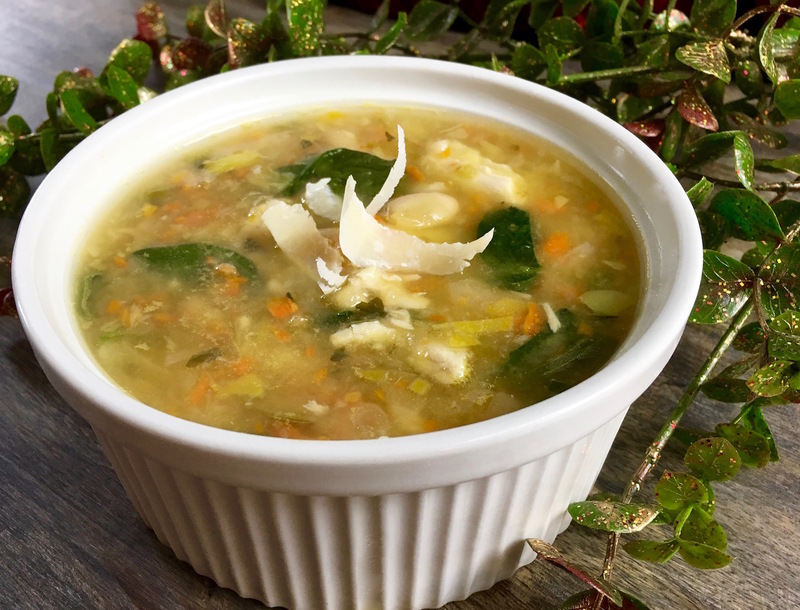 This tasty leftover turkey soup is a great way to use up leftover holiday turkey. Traditional egg noodles are replaced with white beans and an assortment of fresh vegetables for a hearty and delicious dish. Enjoy by itself for a light lunch or pair with a crisp, green side salad for a more satisfying meal. Whenever I make a turkey, I always have extra turkey left over. After having leftover for a day or so, I then make turkey soup. 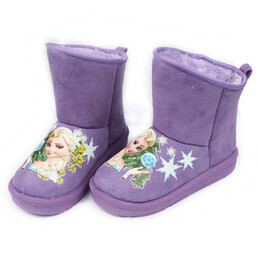 It is one of my go tos. 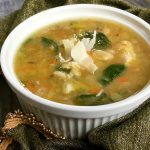 I love soup any time of year, but when I make turkey in the fall or winter, turkey soup is one of the best comfort foods. It just feels like a hug. 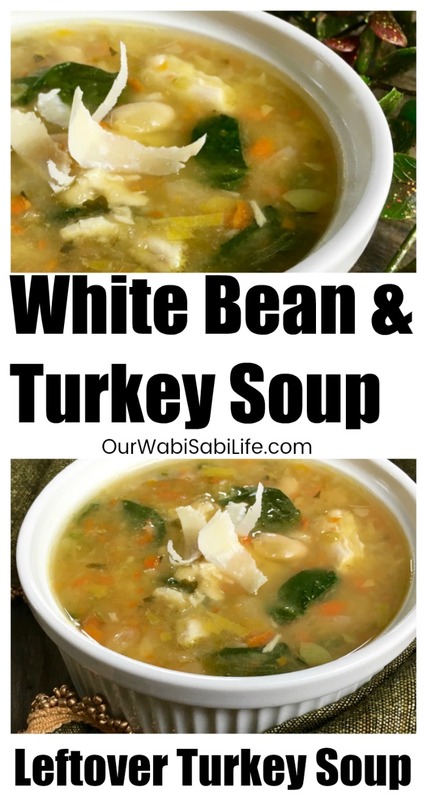 I love that turkey soup is so versatile that I can change it up and make it different ways. 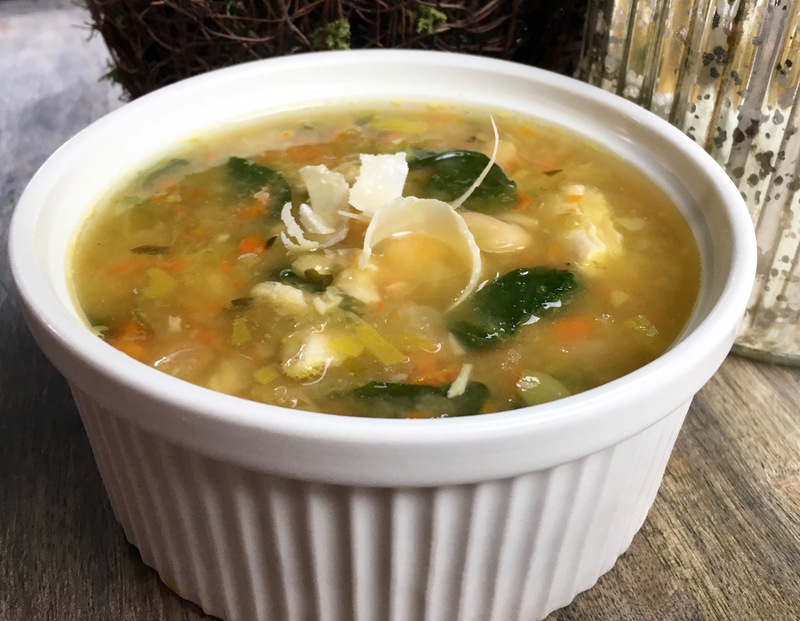 This turkey soup replaces the traditional egg noodles with white beans. There are many ways to use leftover turkey. We use leftover turkey in Leftover Turkey Noodle Casserole, Loaded Thanksgiving Potatoes, and turkey and rice soup. So many people think that leftover turkey has to be eaten as just turkey with side dishes. 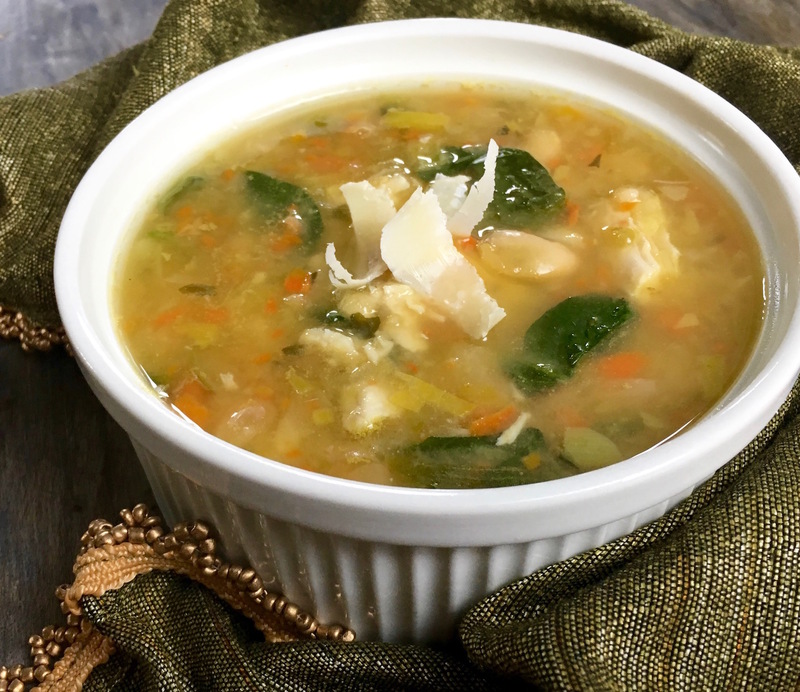 Leftover turkey soup is still one of my favorite ways to use leftover turkey. I get asked often how to make turkey soup. It isn’t hard. If you don’t want to take on the task of making the turkey broth, and many do not, then simply use turkey or chicken stock. If you want to make the turkey broth, use the turkey carcass. Put the turkey in a large soup pot, add water and seasoning, often the same seasoning that you would put in your soup. Some people choose to add vegetables to their broth. I do sometimes and sometimes I do not. Once everything is in the pot, bring it to a boil. Once it has boiled for a little while, you will want to simmer the both. I simmer the broth until the water has evaporated down to half the original. Sometimes I add more water and repeat, sometimes I just do it the one time. I base my choice on how rich the stock is. Once you like the taste of the broth, you will strain it and then it is ready for soup making. 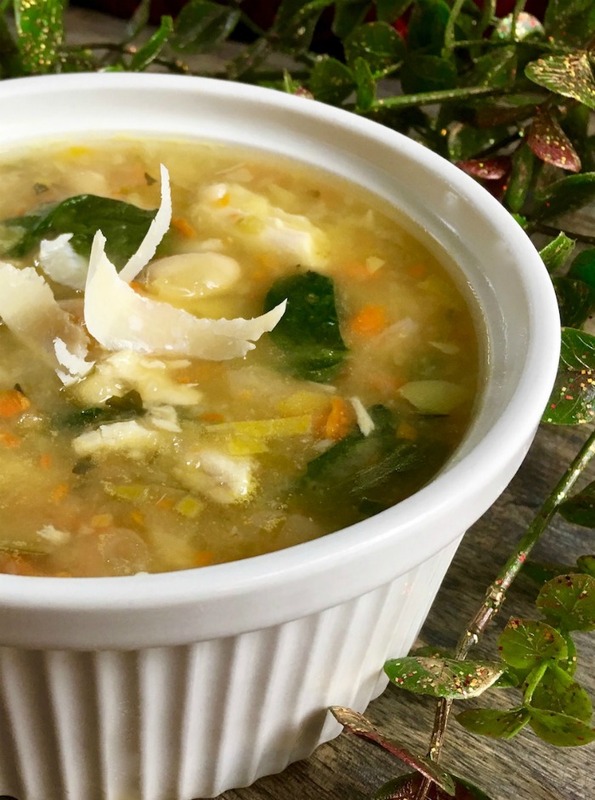 This tasty soup is a great way to use up leftover holiday turkey. Here, traditional egg noodles are replaced with white beans and an assortment of fresh vegetables for a hearty and delicious dish. Enjoy by itself for a light lunch or pair with a crisp, green side salad for a more satisfying meal. Weight Watchers Points: 6 Points when made with vegetable stock and no cheese rind. Keto friendly – 12 net carbs per serving. Heat the olive oil in a large soup pot over medium heat, then add garlic, onion, leeks, carrots, and jalapeno. Cook, stirring occasionally, until vegetables are soft and develop a bit of color, approximately 6 – 8 minutes. Season with salt and black pepper, to taste. Add bay leaves, dried herbs, and cayenne pepper and cook for another 2-3 minutes, or until the herbs become fragrant. Add chicken stock, Parmesan rind, water, and cannellini beans to the pot. Increase heat to high and bring the soup to a rolling boil. Once it boils, reduce heat to medium-low and simmer, uncovered, for 20-25 minutes. Add shredded turkey and spinach to the pot and cook for another 3-5 minutes, or until the spinach wilts and the turkey is heated through. Remove from heat and discard bay leaves. Taste and adjust seasonings, as desired. Serve immediately with some shaved Parmesan cheese. Enjoy! Heat the olive oil in a large soup pot over medium heat, then add garlic, onion, leeks, carrots, and jalapeno. Cook, stirring occasionally, until vegetables are soft and develop a bit of color, approximately 6 - 8 minutes. Season with salt and black pepper, to taste. Add chicken stock, Parmesan rind, water, and cannellini beans to the pot. Increase heat to high and bring the soup to a rolling boil. Once it boils, reduce heat to medium low and simmer, uncovered, for 20-25 minutes.